As the ‘marching season’ reached its height there was serious rioting in Derry, Belfast and Dungiven. Many familles in Belfast were forced to move from their homes. A British soldier was shot dead in Belfast. The main Orange Order parades across Northern Ireland passed off relatively peacefully. A Protestant man was found shot dead in Portadown. Two men, one Catholic one Protestant, were shot dead in a public house in Portadown. Two men were shot dead in separate incidents in Belfast. Margaret Thatcher, then British Prime Minister, criticised the British Broadcasting Corporation (BBC) after it had broadcast an interview with a member of the Irish National Liberation Army (INLA). The annual Orange Order ‘Twelfth’ parades took place across Northern Ireland. There was violence following the parades with attacks on security forces and shops in Derry. Catholic families were also attacked in Limavady, County Derry, in Ballymena, County Antrim, and in Ballynahinch, County Down. There was further rioting in Portadown, County Armagh, following the decision by the Royal Ulster Constabulary (RUC) to re-route Orange Order and Royal Black Institution parades away from Obins Street, a mainly Catholic area of Portadown. During serious rioting between Loyalists and the RUC extensive damage was inflicted on property in the town and 52 RUC officers were injured. There were further periods of violence following the Orange Order ‘Twelfth’ parades. Brian Leonard (20), a Catholic civilian, died two days after been shot while working on a building site in Shugville Street, Shankill, Belfast. 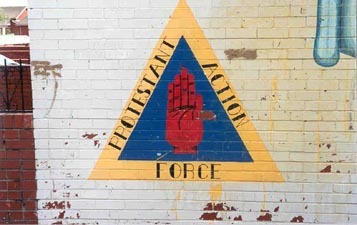 The Protestant Action Force (PAF) claimed responsibility for the killing. 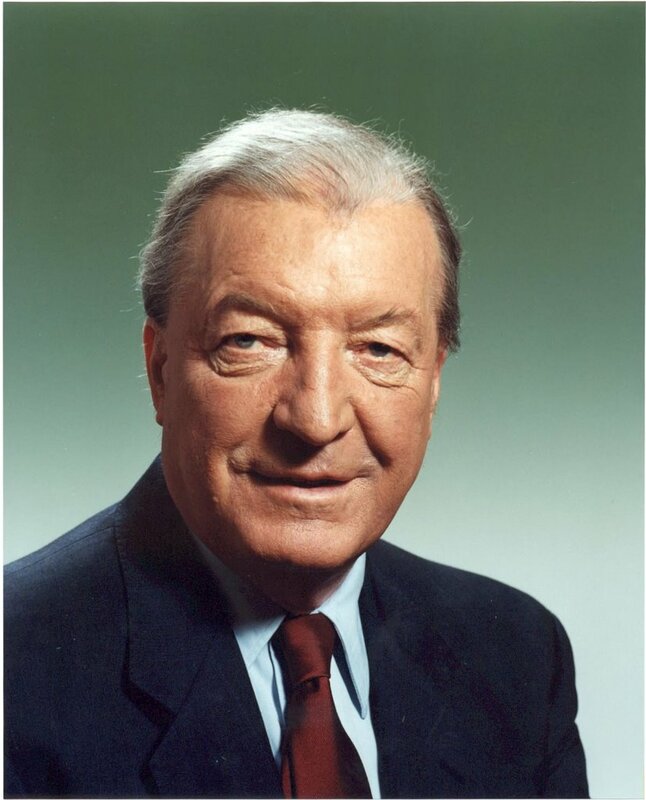 Charles Haughey was re-elected as Taoiseach (Irish Prime Minister). Fianna Fáil (FF) formed the new government with the support of the Progressive Democrats (PDs). This was the first occasion that FF had been part of a coalition government. The case of the Maguire family was referred to the Court of Appeal. The results of a survey of public opinion on the political talks (later known as the Brooke / Mayhew talks) was published. It showed a high level of support for the resumption of the talks (73 per cent of people questioned in Northern Ireland; 87 per cent in the Republic of Ireland; and 79 per cent in Britain). The survey was carried out by Ulster Marketing Surveys, Irish Marketing Surveys, and Gallup. The security forces in England seized a lorry containing over 1,800kgs of explosives at the port of Heysham, Lancashire. The explosives had been hidden in false compartments and the Irish Republican Army (IRA) was considered to be responsible. Orange Order parades took place at a number of centres across Northern Ireland. In the lower Ormeau Road area of Belfast the Royal Ulster Constabulary (RUC) moved hundreds of police officers into the area to prevent Nationalist residents from protesting on the street. Many residents were blocked inside their homes for the duration of the operation. Approximately 150 Orangemen, accompanied by four bands, left Ballynafeigh Hall at 9.30am to parade along the Ormeau Road. There were clashes between the Nationalist residents and the RUC. 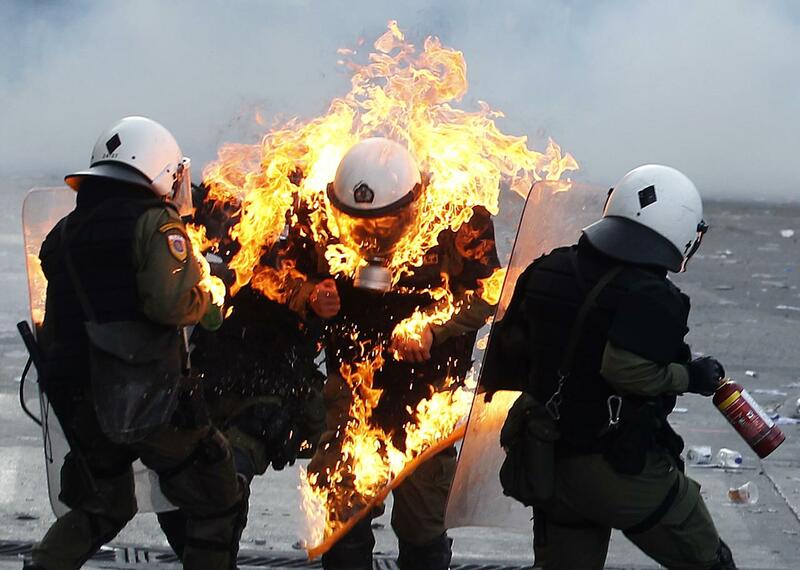 A number of vehicles were hijacked and burned. During the evening there were attacks on the homes of several Catholic and Protestant families and there were arson attacks on five Orange Halls. Ballynafeigh Orangemen were allowed to march through the Catholic lower Ormeau Road area of Belfast. There was continuing rioting in nationalist areas. Dermot McShane (35), a Catholic man, was killed when he was run over by a British Army armoured car in Little James Street, Derry. It was estimated that 1,000 petrol bombs were thrown and 1,000 plastic bullets were fired in Derry. John Bruton, then Taoiseach (Irish Prime Minister), criticised the decision to allow the Orange march to proceed on the Garvaghy Road. He accused the British government of yielding to force and the threat of force. The ‘Twelfth’ Orange Order parades across Northern Ireland passed off relatively peacefully with only minor incidents. There were some stones thrown in the White City area of Belfast. Two Royal Ulster Constabulary (RUC) officers and three soldiers were slightly injured in an Irish Republican Army (IRA) attack in north Belfast. John Hume, then leader of the Social Democratic and Labour Party (SDLP), held a meeting with Tony Blair, then British Prime Minister, and called on the IRA to announce a new ceasefire. An RUC Landrover, being used to police an Orange Order parade at Dunloy, appeared with a handpainted rat with a crown and the words “King Rat”. The relative of one of his victims called on the RUC to take immediate disciplinary action against the officers responsible for the painting. Three young Catholic boys, Richard (11), Mark (10), and Jason (9) Ouinn, were burnt to death after their home, in Ballymoney, County Antrim, was petrol bombed in a sectarian attack carried out by Loyalists. Christine Quinn the boys mother, her partner, Raymond Craig, and a family friend, Christina Archibald (18) escaped from the house but they and neighbours were unable to reach the three boys. Lee Ouinn (13), the oldest son, was staying with his grandmother when the incident occurred. William Bingham (Rev. ), then Deputy Grand Chaplain of the Orange Order, called for the Drumcree protest to be ended and said that the 15 minute march down the Garvaghy Road would be “a hallow victory” as it would be taking place in the shadows of three little white coffins. David Trimble, then leader of the Ulster Unionist Party (UUP), and Robin Eames (Dr), then Church of Ireland Primate, also called for an end to the protest. The Orange Order rejected these and other similar calls. Across Northern Ireland the Twelfth parades passed off without incident. The largest Orange parade with around 20,000 marchers proceeded through south Belfast to the Ormeau Park, keeping to a compromise route. Other parades passed off without major incident. Legislation was put before the Westminster Parliament, designed to act as a safeguard for the decommissioning of arms and the devolution of power in Northern Ireland. 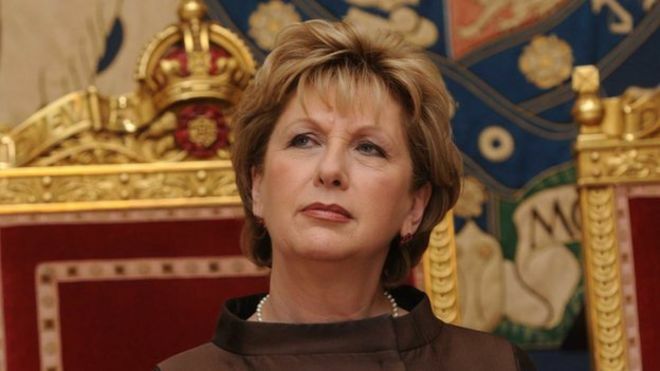 Mary McAleese, then President of the Republic of Ireland, attended a reception to mark the 50th anniversary of the death of the Republic’s first president, Douglas Hyde (Dr). She said his message was that barriers between differing traditions should not be broken down by threat or stealth. 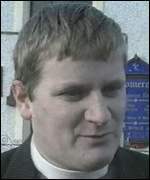 Andrew Cairns (22), a member of the Ulster Volunteer Force (UVF), was shot dead while attending “eleventh night” bonfire celebrations in Boyne Square, Larne, County Antrim. The Ulster Defence Association (UDA) were believed to have been responsible for the killing. The killing was part of a feud between the UDA and the UVF. Orange Order parades took place across Northern Ireland. Speakers at Orange rallies across the region attacked the peace process and the Good Friday Agreement. About a hundred members of the Ballynafeigh Lodge were prevented by a Parades Commission ruling from marching along the Nationalist Lower Ormeau Road area of Belfast. The Parades Commission had also re-routed the main parade in Derry. The worst riots for a number of years took place as the Royal Ulster Constabulary (RUC) sealed off part of the Nationalist Ardoyne area of Belfast to allow an Orange Order parade to pass close to the Catholic area. 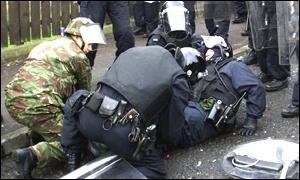 The RUC reported that 10 officers had been injured in the disturbances. Nationalists claimed that a number of people had been injured by the RUC with at least 12 people being struck by plastic bullets. There was also violence in the east of Belfast when a Orange Order parade passed the Nationalist Short Strand area. Shot by sniper, while leaving British Army (BA) observation post, Northumberland Street, Lower Falls, Belfast. Found shot in entry, off Churchill Park, Portadown, County Armagh. Shot at his licensed premises, McCabe’s Bar, High Street, Portadown, County Armagh. Shot while inside McCabe’s Bar, High Street, Portadown, County Armagh. Shot at his home, Southport Street, Lower Oldpark, Belfast. Found shot by Flush River, off Springfield Road, Belfast. Found strangled in entry off Seaforde Street, Short Strand, Belfast. Found shot, Castle grounds, Bangor, County Down. Found shot, Old Templepatrick Road, Ballyutoag, near Belfast, County Antrim. Killed by remote controlled bomb hidden in manhole while on British Army (BA) foot patrol, Crossmaglen, County Armagh. Found shot Legakelly, near Newtownbutler, County Fermanagh. Alleged informer. Died two days after being shot while working on building site, Snugville Street, Shankill, Belfast. Shot during street disturbances, Alliance Avenue, Ardoyne, Belfast. Killed during petrol bomb attack on his home, Carnany Park, Ballymoney, County Antrim. Shot while attending eleventh night bonfire celebrations, Boyne Square, Larne, County Antrim. Ulster Defence Association (UDA) / Ulster Volunteer Force (UVF) feud.